NEW Best Quality Micro Link Pulling Hooks for Cold Fusion Hair Extension Applications. Quality tools make All the difference between average and expert cold fusion hair extension applications. Quality aluminum cold fusion application tool with anti-slip handles, and extra long needles that Do Not Slip Out. This tool contains 3-extra needles inside the tool for any sixe micro links being used. 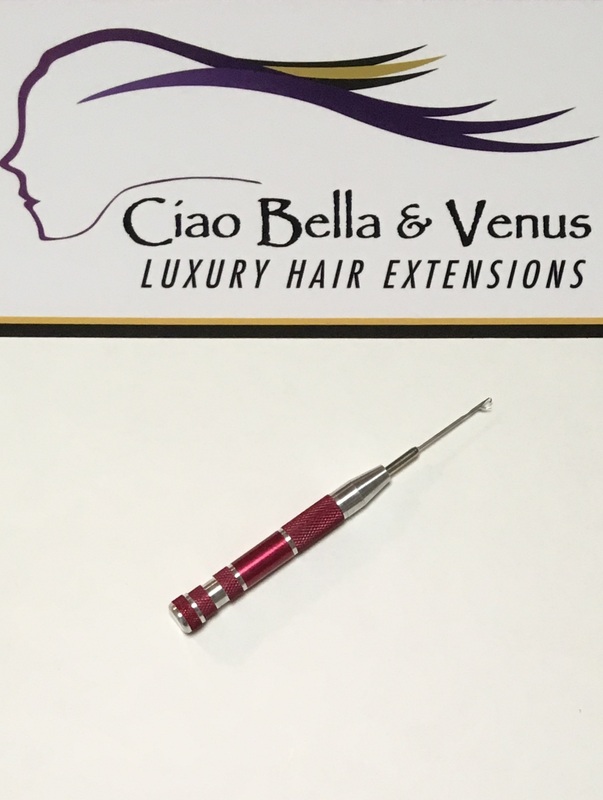 Longer needles hold more Micro Links, which allow the Hair Extension Specialist to work faster. Crafted for the true Hair Extension Professional. Feel the difference!